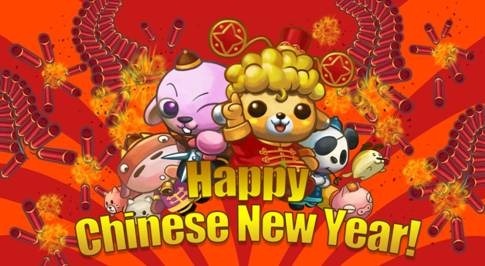 Start the Year of the Dragon with a bang! 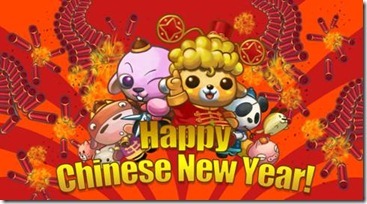 From now until January 23, 2012, thousands of free points will be given away to iOS and Android players in celebration of the Chinese New Year! Android users get a special treat too! 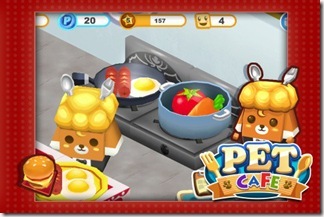 Check the “Earn Points” page in any of their Android apps this weekend and complete the special Chinese New Year offer. Your free points are just a few taps away! 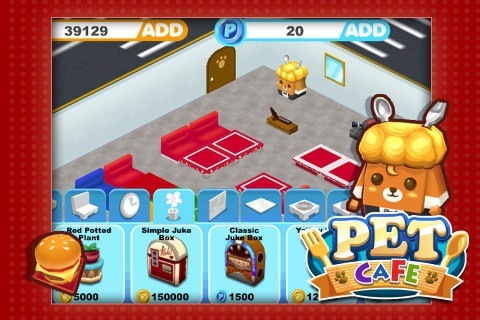 Remember to check out Pretty Pet Salon Asian New Year for iOS, especially released for this joyous event! This is definitely a giveaway you won’t want to miss, so have fun spending all those free points! We wish all of you a happy and prosperous New Year! Howdy everyone! You’re all gonna love this news! The holiday season wouldn’t be complete without a new Christmas update for Pretty Pet Salon Seasons! 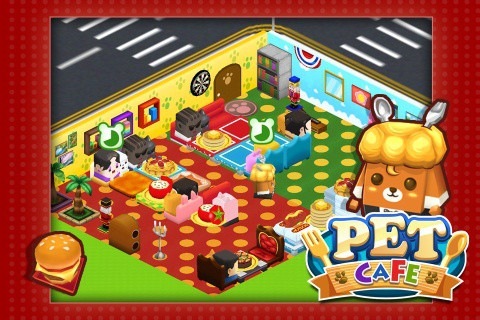 Update now and enjoy new Christmas-themed artwork and background, an enhanced interface, plus the same awesome new features earlier introduced in Pretty Pet Salon 2.0! Take advantage of the new power-up items: Tip Magnet, Supercharged Facilities, and Power Boost, all designed to help you keep up with your customers’ crazy demands! 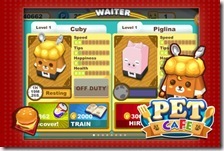 Complete random challenges for special rewards, and serve 2 new timely VIP customers that you’ll definitely recognize! 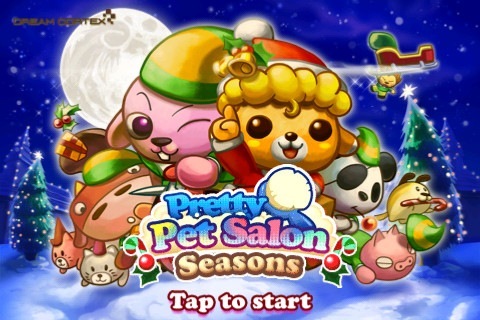 If you experience any problems with this version of Pretty Pet Salon Seasons, please don’t hesitate to contact us at support@animoca.com – we’re here to serve! Update now and have a very Merry Christmas! 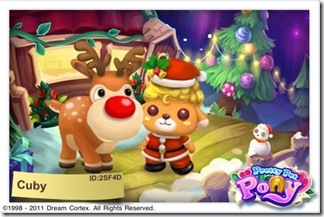 New Costumes: Santa and his reindeer! 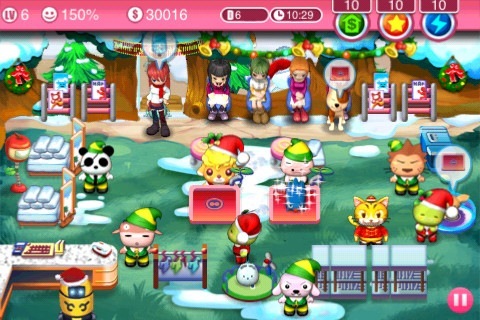 Head to the “Costume” section and you can dress your jockey as old Saint Nick! 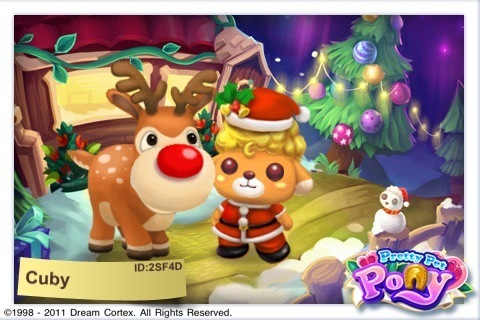 In the “Dress Up” page, look for new customization options for your pony and have it masquerade as a cute red-nosed reindeer. 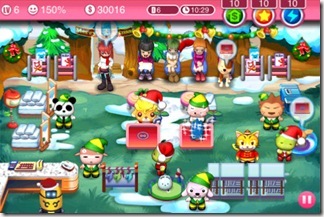 You can even purchase a charming new Christmas-themed background to complete the look! 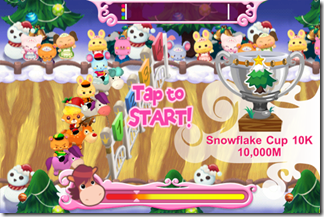 New race track: Snowflake cup! 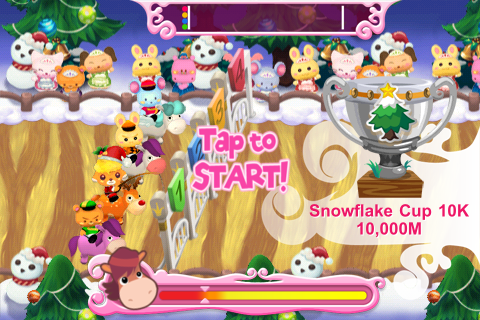 Race to win 1st place in the new Snowflake Cup, with a nice new wintery background and cheerful holiday music! If you encounter any issues with this update, please email us at support@animoca.com and we’ll be glad to help. Hope you enjoy the update. Merry Christmas everyone! The lovable Pretty Pets are back in Pet Cafe! 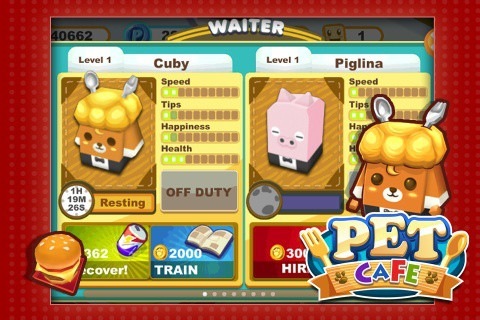 Help Cuby and his friends run a cozy new restaurant in the city in this brand new game with cute 3D graphics, upbeat music, and fun, relaxing gameplay! 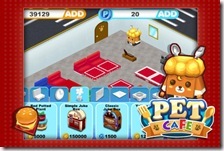 Pet Cafe is free for download on the App Store, so go grab it now and enjoy!